Discussion in 'Google TV News' started by dandroid, Oct 7, 2010. Samsung has been on the sidelines instead of jumping on the Google TV bandwagon. That might soon change according to a recent statement from Yoon Book Keun, head of Samsung's TV business. At a recent forum in Seoul, South Korean he said using the Google's Android operating system in TVs is under review. Currently Samsung is the world's largest TV manufacturer and uses the Samsung Apps Platform with over 80 apps to allow users to access the internet for multiple uses. The main complaints of adding Google TV capabilites have been the cost of the components. 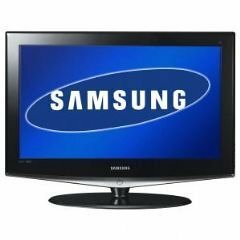 According to NewTeeVee the materials alone add about a $300 premium to the price of the TV. Apparently Panasonic and LG are looking into adding a Google TV lineup as well. The only company that said NO outright is Philips and Vizio is on a wait and see policy. lol, I think if these manf. don't release something with google tv, they could be shooting themselves in the foot. At least offer a few different models. I agree. Particularly once the Android Market and the high end Android tablets, those sporting the Tegra 2 250, explode onto the scene. I think an Android tablet + Google TV will become almost an inseparable combination this time next year. The built in Samsung Apps on the higher end model TV's is actually very very nice. I love mine. But I'd still love to see Google TV as a choice as well. The more choice the consumer has the better. Yeah choice is a wonderful thing as can be seen in the Android phone market right now. I look forward to when Cortex A9 based Google TV boxes drop for under $150. Now that will be SWEET. On a completely unrelated and absolutely NOTHING to do with Google TV you HAVE to check this out if you like Android in any way. Check out the Augen Espresso Doppio. This thing is absolutely 100% pure awesomeness and made of win! Tegra 2 250, dual boots Android 2.2 AND Ubuntu Netbook Remix 10.x ARM edition. Ooh I am getting all silly and happy right now. Did I mention it was a 10" capactive tablet that ALSO has a netbook dock and up to 15 hours battery life? OOH YEAH!! Google TV meet you new playmate! Well that and my Droid.. WOOT!! Well, I won't be paying $300+ more for a TV with Google TV in it, sorry. I find the apps that Samsung has on their TVs already overkill and certainly wouldn't have paid money for them. I may buy a $100 box to stream internet video to my TV and toss it in a year when things change. I will not be paying extra for a TV with features I don't expect to survive the 10 year lifespan of a TV.